Health Fitness Revolution founder Samir Becic has a tremendous amount of respect for teachers and the role they play in a child’s future. Many of the core values and lessons we learn through life can be traced back to our educators, what they taught us, and how they treated us. This is the reason that Becic travels around the world to educate teachers and professors on how to provide the right encouragement and direction to students with regard to health, fitness, and nutrition. 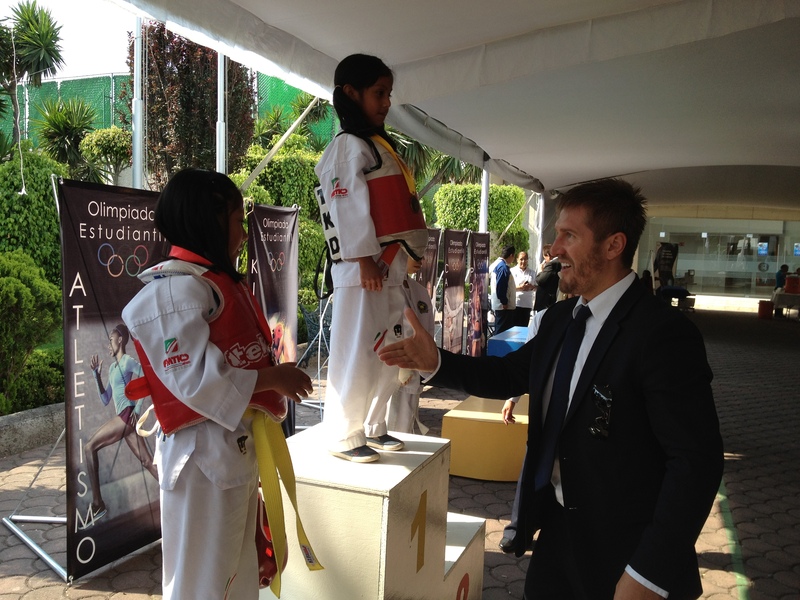 For over a year, Becic has been traveling to various schools throughout Mexico City in order the motivate them and educate them on his signature ReSync Method. The ReSync Method is unique in that it uses the body’s natural range of motion and resistance in order the get stronger, faster, and leaner. Because functional range of motion is at the root of every exercise, those who train using the ReSync Method notice significant results beyond those of simply training at the gym. Samir has been training students, teachers, and parents alike in the ReSync Method so as to lay a solid foundation for a child’s world to be as healthy as possible. Samir always aims to devise programs and seminars that incorporate education, fun, activities, and new concepts that teachers and professors can use to arm their students with the best knowledge and education available- so that they can reach their ultimate potentials in taking control of their health as they grow into their adult lives. For this reason, he was selected to open the Grupo Educativo School Olympic games in Mexico City where he has already educated over 10,000 children about healthy lifestyle, fitness, and it’s impact on their future in terms of career, education, self-esteem, family life, social, and mental balance.